Just letting you know that these arrived yesterday and they are perfect. A very big thank you for your very prompt, efficient and friendly service earlier this week when I ordered our bumper stickers. I approved the final proof yesterday morning and when I arrived at work today, they were already on my desk! I can’t thank you enough for going out of your way to make this happen for us. The stickers will help us raise funds to continue to offer our vital service in our community here at the Gold Coast. I received my stickers yesterday. They look amazing! And I love the quality. Thank you for answering my ‘millions’ of questions and in a prompt manner also. I made a few enquiries at a few printing companies and decided to go with EStickers due to your customer service skills and I have not regretted it since. Please pass this onto your manager, I want them to know they have a valuable employee. I will definitely come back if I have any future bulk sticker or printing orders and will recommend you guys to friends and family. Hope you have a lovely day. The team at E stickers really are the best in the business. I can’t speak highly enough of these guys. They really helped me out and got me out of a disaster. My name is Des and own a mechanic business. My previous sticker company had only sent half of my labels and half of those were the wrong colour! I went into panic mode. I frantically found these guys on Google, within minutes I received a fast quote and they reassured me that they could help. Within hours I had my artwork improved and the best labels I’ve ever seen arrived to my door! Fast. Top quality. Great price. Great service. Estickers really are your one stop shop. I own a small gymnasium that requires labels and stickers on all my items. I used to pay for a graphic designer to convert my own designs to computer format, then wait to receive my images to then give to a printing company. I then had to pick my own printing up if I wanted it quickly. No more!! Estickers do it all and I only speak to one person. This has saved me so much stress and time. 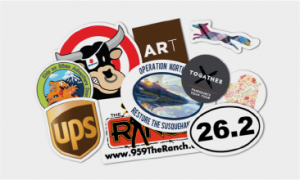 Never dealt with a more professionally ran operation in the stickers game. Well done guys. First time using your service and must say highly impressed! your staff gave great advice on modifications for the artwork, quick responses, very helpful. The ordering process was so smooth and easy. And when we received the stickers, could not be happier- I was really surprised at the quality. So competitively priced but not compromising on quality. Will definitely return. Keep up the great work! Absolutely wonderful, Great and easy service. Have a few more designs, will be in touch soon. Great experience using Estickers for this job. I wish all suppliers worked like you guys! It’s always a bit risky choosing an unknown company out of ‘Google land’ to work with on an urgent job, but it certainly paid off this time! So professional. Thanks again. The stickers arrived in the mail today. You were so kind doing this for us and I really appreciate it. We can now see what they look like on the bags and make any design and size adjustments before we order thousands of them. Your service and product is first rate thank you ! I would like to thank you for the stickers, I received them last week quicker than expected and extremely happy with how it looks! The church youth group I got them for also extends their thanks and is very pleased with the quality and overall look of the final product. We have received our stickers, they look great! Thank you very much for your great service and quick delivery although it was such a short notice. Thank you for your assistance with my previous order, the labels are amazing! Just wanted to say thank you for our stickers. They are perfect for what we need. Stickers are here and look amazing!!! Just Received our sticker and we are very happy with them. I received my stickers today. I just wanted to say thank you for your help and the amazing customer service. I will be sure to use your services again and recommend you to others. Received my stickers yesterday – THANKS so much they look amazing. Great job. You guys were amazing. I just wanted to acknowledge that the stickers were received. Thank you so much for the excellent quality of your product and service. The stickers were received on time (I had a tight deadline) and working with all of you was a pleasure! I’ve received my stickers in the post and I just want to say how impressed I was with the service as well as the product. Thank you for all your help, I’ll be sure to keep Estickers in mind for my next sticker purchase! I just wanted to send a quick email to let you know I have received the stickers, and they are fantastic! Thanks very much for your awesome service and great product. I’ll be in touch for the next run of stickers! Just to let you know I received my stickers and they look great. I will definitely return when I need to restock. Hi guys received my stickers yesterday and im so please and came so quick. Im so grateful re your fantastic customer service. Thanks again and ill be using you in the future for all my stickers.. I wanted to provide some feedback and say that we are extreme pleased with the quality and customer service we received for our recent orders. The finished product exceed our expectation and we look forward to working with Estickers in the future. Just letting you know we received stickers and are very happy!!! Thanks heaps they look great will definitely be back for more!! Thank you to you and your team for all your help, it has been a pleasure. Stickers have arrived – in terms of feedback I just want to say I’m very impressed with the finished product – they look fantastic on the glass candles and on the base of tealights so thanks very much. Our stickers arrived yesterday. Thank you so much to the entire team for getting this to us yesterday. You’re assistance and speed on delivery has been very much appreciated and we are excited to share the stickers with all the kids at our dental clinics. Thank you again for the production and delivery of these. We have received the stickers and they are amazing thank you so much for you fast service and the wonderful job you have done. Thank you for all your help! It turns out they were delivered to our neighbour instead of us, who just dropped them off – Phew!! Once again thank you so much, and the stickers look great – we are very happy with not only the product, but the service you have provided in the quick delivery as well as following up on our dilemma of where they went. I just received my stickers, i’m VERY happy with them! I have been using another company for many years to print my stickers and all of a sudden they can no longer achieve the HOTPINK ink to match my business, and you’ve nailed it (not hard I know!) So thank you so much! We received the stickers today and they look great! Just quickly writing to say a big thankyou for the print job, the stickers are top quality! I will hopefully be placing another order shortly! Thanks for everything would highly recommend your company for any sticker jobs I work on! Thanks very much for the stickers Georgia. They are gorgeous! Very happy – please thank your team there. 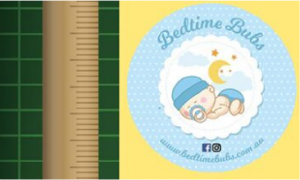 I am so happy with the quality of the stickers and your service, I have a lot of family with businesses and will pass on your details when they also need labels printing! All received and they look great. Labels arrived this morning – they look fantastic. I just wanted to say thanks to all of you for making it happen. professional looking and so easy to handle. We will be highly recommending your service to other businesses. Just want to let you know that we’ve received the stickers today J and they look great! Thank you, here is a photo of the sticker on the bottle to share with you. Just to let you know I have received the stickers and we are very happy. We will defiantly use you again. We have just received our stickers and wanted to send you a quick note to say they are amazing! We are so pleased and grateful for your quick and and so helpful service and the finished product is better than we had hoped it would be. Our stickers arrived this morning. Thank you, they look fantastic! Just wanted to thank you and your team for the stickers, they turned out really great and we are very happy. We will be using you in the future. Yes we received the stickers on time and everyone loved them. Thanks for your help with this rush job! Thank you Julie for your great service.